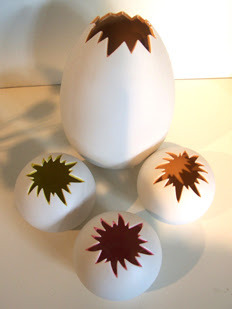 Tangled and True: egg lights. Cool! So, when the light it on does it reflect the light on the ceiling in that shape? I think it would be fun in a playroom too. And that's a major sale!